From cleanings to dental implants, Affordable General Dentistry, PC, offers the services you need at prices you can afford. Our caring staff treats you like family, providing you with exceptional dental care in a calm, quiet, and professional environment. We are committed to improving your smile! More Natural and Stronger Crowns! No More Unfitted Dentures & Adhesive! Smile with confidence with personalized dental care from Affordable General Dentistry, PC, a family practice in Hamburg, New York. From pediatric dentistry to dental implants, we offer a wide variety of services at the lowest prices in western New York. We care about our patients and go the extra mile to make you as comfortable as possible. Our owner Dr. Victor Colon DMD, graduated from the University of Puerto Rico and began treating patients at Strong Hospital in Rochester, New York. 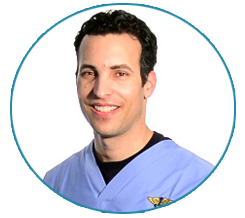 Backed by more than 10 years of experience, he now owns his own practice and employs four skilled staff members to better serve you.